Before mobile Facebook uploads allowed you to broadcast your vacation photos to the world before you even left the beach, postcards were the best way to show family and friends where you had been on your adventures. Here’s how visitors back home would have imagined the world back in the days before frequent flyer miles. Check out the appropriate 1908 beachwear for ladies! A 1906 postcard picturing bamboo growing in the Filipino capital, at that time under United States control. The Regina Hotel in the Swiss resort town of Interlaken is still up and running today. Here’s what it looked like in 1906. A postcard from the 1940s shows Miami’s Little River area. A few decades later, the neighborhood would become an enclave for Haitian immigrants. This main street photo, taken back in the days when horses and buggies shared the road with streetcars, is probably from sometime around World War I. The German town of Cronenberg was folded into the city of Wuppertal in 1929. This card from 1939 shows the main drag of Amarillo, Polk Street, lit up at night. An undated postcard shows the Seattle Space Needle at dusk. The observation tower was built for the 1962 World’s Fair. A 1906 souvenir shows the cathedral of Saint-Germain l'Auxerrois, built starting in the 7th century. The Vatican hasn’t changed much since 1906. The Vancouver skyline has changed pretty drastically from when this image was created. It’s now one of Canada’s densest cities. A Kyoto bridge called Shijo Bashi as it stood in 1907. This is what it looks like today. This card, sent in 1930, bears a vista of the Detroit River with the steamer Owana in the foreground. In 1906, the steamer carried almost 30,660 people. 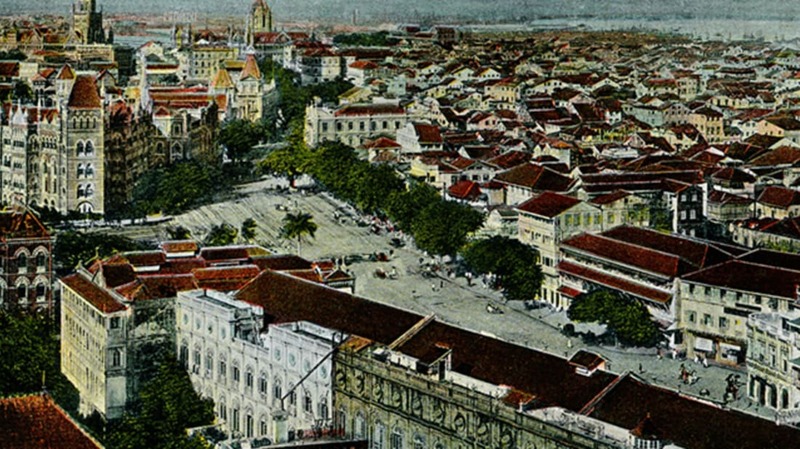 Then known as Bombay, this postcard shows the Indian city as it looked in 1906 (no cars on the streets!). At that time, it was ruled by the British, who controlled India until its independence in 1947. This 1933 card features Enchanted Island, a children’s playground at the Chicago World’s Fair.